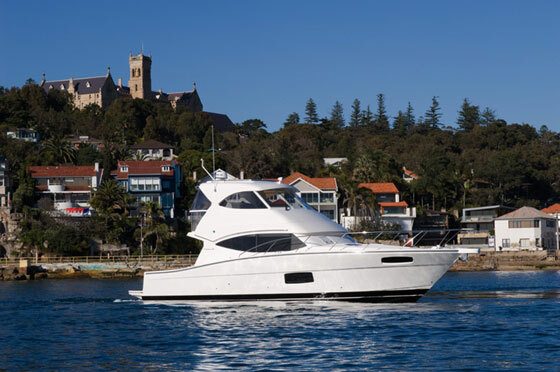 An Australian builder debuts a bluewater boat with a twist, the Maritimo 440 Offshore Convertible. 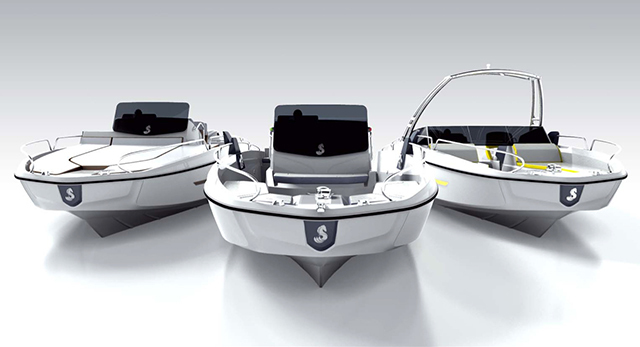 Not all new boat models make big first impressions, but those that do typically bring something unique to the party. 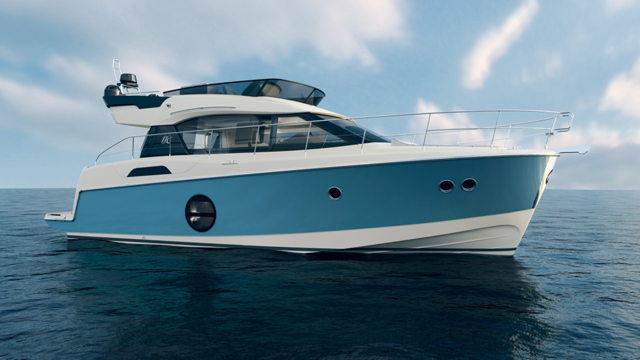 Maritimo’s 440 Offshore Convertible is one fine example. For starters, it’s the only convertible in its size range with an enclosed bridge. 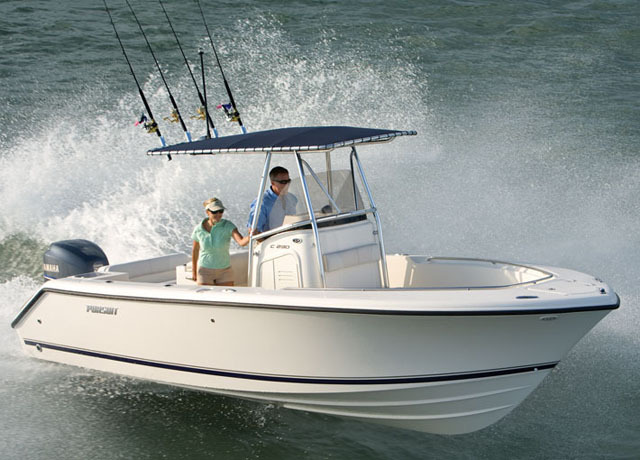 The Maritimo 440 Offshore Convertible can be powered by twin Volvo-Penta IPS drives or straight-shaft Cummins diesels. 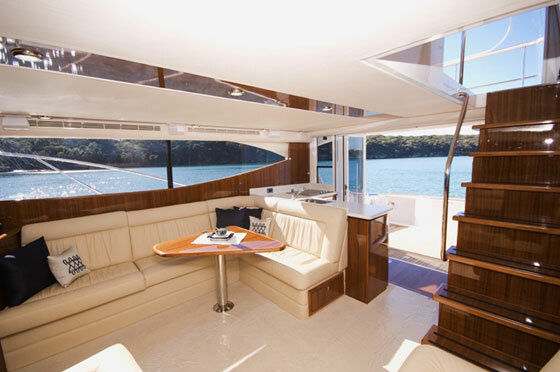 The enclosed bridge - which creates a comfortable, climate-controlled space at the helm for the captain and crew - is now a staple on monster convertibles (think Viking 82 and Bertram 800), and in recent years the feature has trickled down to bluewater boats with less LOA, but Maritimo is among the first to showcase a three-sided enclosure on a model dipping below the 50-foot mark. This is good news for anyone shopping a convertible in this size range. An enclosed bridge has a lot going for it. You can crank up the air-conditioning on a sweltering hot day and turn this area into a second saloon - with an even better view than the one below. Conversely, you can dial up the reverse-cycle mode to heat the space on a cold fall afternoon. In the long run, an enclosed bridge serves to extend the boating season. The enclosed bridge can extend the boating seasons with heat or air-conditioning to temper the weather. That’s not saying the bridge isolates passengers from nature. When you’re ready to feel and smell those ocean breezes, just open the big overhead hatch. As for access to the bridge, there’s a wide and well-done teak staircase that leads up from the saloon. We like this feature, as it’s a safer and more comfortable route to the bridge when running in lumpy seas, wet weather, or strong winds. If you’ve clung to a steep exterior ladder in heavy gusts and arrived at the top with a hairdo resembling that of Medusa, you know what I mean. Enclosed bridges are less common on smaller boats because owners sometimes harbour concerns about windage. 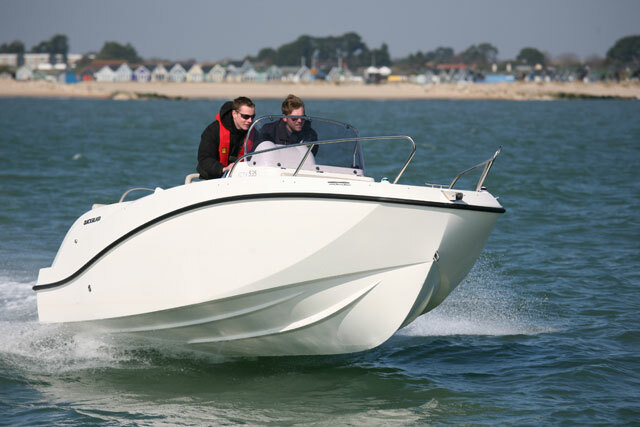 If the 440 runs on par with the other models in the builder’s fleet, it will exhibit stability, even when working its way out of a tight crosswind slip or lying side-to into a wind chop. 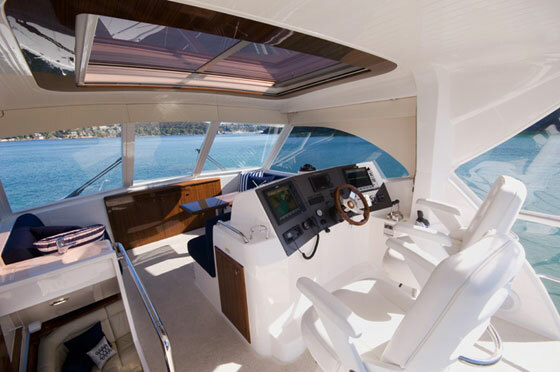 Maneuvering the 440 will certainly be pleasant with the joystick control that comes with the Volvo IPS propulsion. The saloon contains an attractive and protected interior companionway to the bridge deck. The Maritimo is offered with twin 435-hp IPS 600s, which reportedly produce a top speed near 32 knots and a cruising speed of around 22 knots. At cruise, range is close to 350 nautical miles. 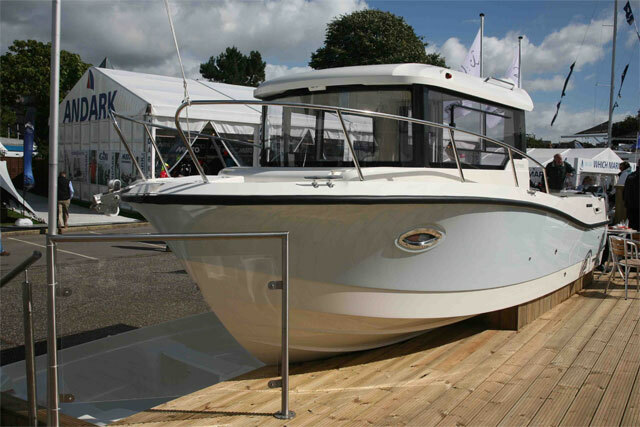 Maritimo hulls - which are classic variable deadrise deep-Vs - are perhaps best known for delivering good performance with conventional drives, so to build on that reputation, the company offers the 440 with straight-shaft diesels, as well. 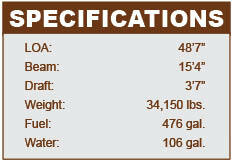 The Cummins QSB 5.9s are rated to 480 hp each. 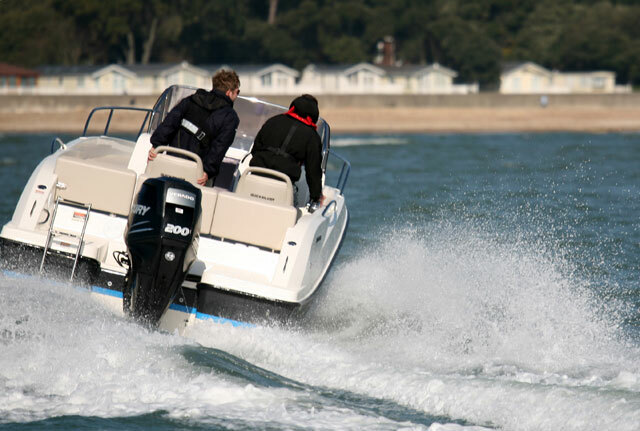 The 440 is built with other trademarks of the Maritimo brand, including a galley that’s positioned at the aft starboard corner of the saloon. The only things separating the food-prep space from the cockpit are bi-fold doors, which can be thrown open to create one big entertaining space with lots of fresh air flowing through the cabin. Accommodation includes three staterooms and two heads. This convertible has its fair share of creature comforts, which is why Maritimo says the 440 can function as a cruising yacht, an offshore sportfisherman, or both. One thing it will never be, though, is typical. 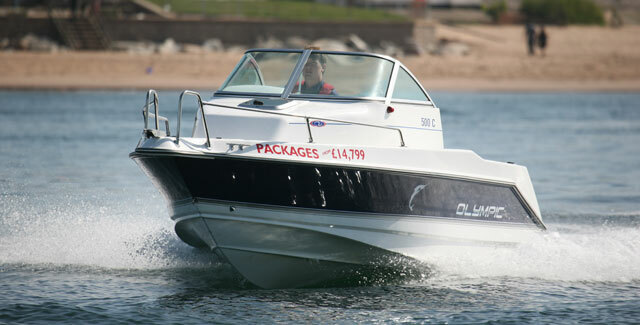 For more information, visit Maritimo.